Downtown Amarillo is home not only to many historical buildings and churches but also to a plethora of public art pieces. This district holds many of Amarillo's early history and stories and is part of the Amarillo Cultural District. In addition to sculptures scattered throughout Center City, some Points of Interest include: 1) The Bivin's Home, located at 1000 S. Polk. This home was built by one of the first families to settle in Amarillo. It has housed our public library, hosted Amarillo High's proms, and is now home to the Amarillo Chamber of Commerce and several other local organizations. 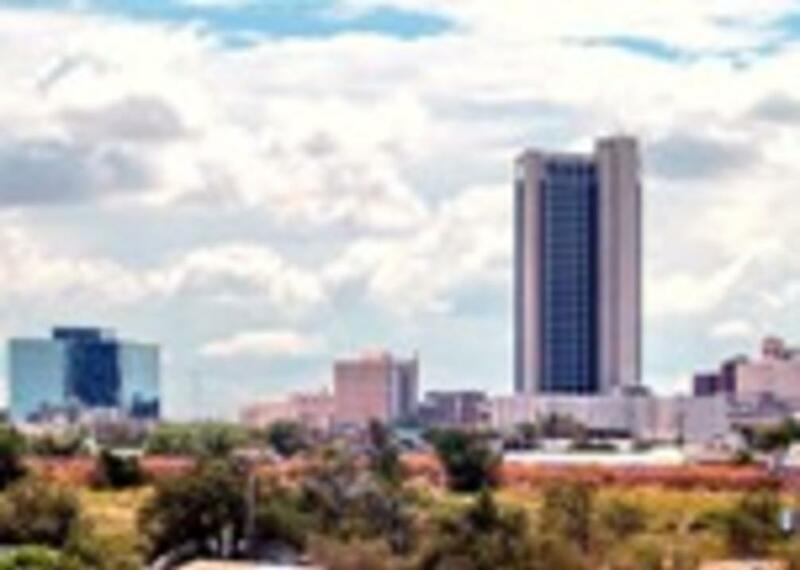 2) Amarillo City Hall, located at 7th & Buchanan 3) The Amarillo Civic Center Complex, located at 3rd & Buchanan. 4) Amarillo Downtown Public Library, located at 4th & Buchanan. 5) Federal Courthouse, located at 5th & Taylor 6) Santa Fe Building, located at 9th & Polk. Now used for Potter County Offices, this 1930's building was once the district office for the Santa Fe Railroad. 7) The Madame Queen, located on SE 2nd & Lincoln St.This rare locomotive prototype was built in the 1930's and ran 1.75 million miles before being retired and donated in the 1950s. 8) The Herring Hotel, located at 311 SE 3rd Ave.. Although vacant since the 1970s, at the time of it's opening on New Year's Eve 1926, the Herring Hotel was the fourth largest hotel in Texas. This 14 story building hosted many prominent ranchers, railroaders, and oil men. 9) Potter County Courthouse and Library, located at 517 S. Taylor St. 10) The Amarillo Building, located at 301 S. Polk. Built in the 1920s, the Amarillo Building was one of Amarillo's first skyscrapers. It now has several organizations and older pictures of historic downtown Amarillo can be viewed in its lobby.